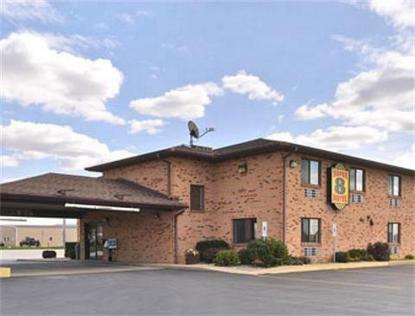 The Super 8 Gilman is an award winning Pride of Super 8 located just off I-57 in the heartland of Illinois. Enjoy our many local antique shops and parks. The Iroquois County Fairgrounds is located just 15 minutes from the Super 8 Gilman. Relax in our Olympic size spa or try one of our whirlpool suites. We provide free high speed Internet and complimentary SuperStart Breakfast. All of our rooms feature micro-fridges, 25 inch TVs with extended cable and free HBO, hairdryers and alarm clock radios. We also offer plenty of free parking including space for buses, trucks and RVs. The Super 8 Gilman welcomes you with excellent service and the best value in the area.